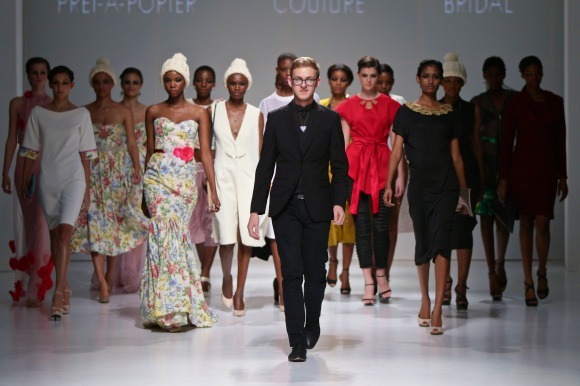 Amos is a high-end designer label, which specialises in ready to wear, couture and bridal wear. 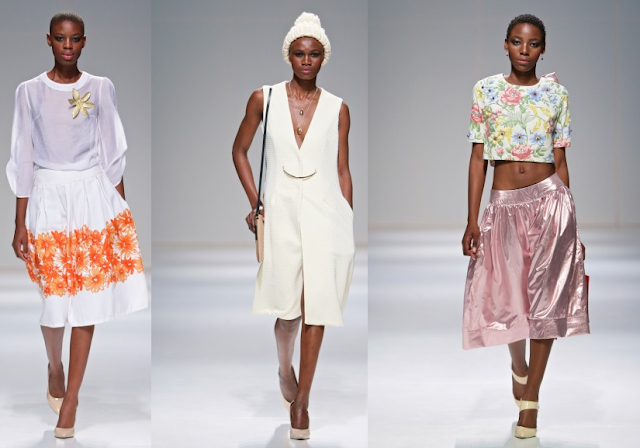 For Durban Fashion Fair 2015, the key theme for the Amos collection was contrast. We saw hand knitted beanies being paired with eveningwear and sleeveless coats; sheer gold netting paired with knitted wool jackets. The combination gave the models an edgy look and it enhanced the female silhouette. For the collection Amos used visible textures ranging from sheer netting and voil to upholstery material.There are two strong colour influences in the collection - darker colours like deep red, gold, black and citrine as well as subtle colours like white, cream and beige to compliment the floral evening looks. The collection is feminine, wearable and sophisticated.